So the holiday season is finally here, but I have burnt up all my leave and my spare cash going to Kenya and buying a car. So time to sit tight and haunt people's houses for free meals which they will gladly provide in this time of the year when generosity and goodwill rule their thoughts, otherwise the ghost of Christmas will haunt them every year instead of just me. Not that I can't cook, with sites like Cooking for Engineers to help me, it is not hard. Tonight's special was Prawn Jalfrezi, with prawns you have to be careful not to overcook them or they become tough like hard boiled eggs. I am still studying for my Australian Citizenship Test. Paul if you are so eager you can do this one here, it has answers unlike mine where I am too mean to provide answers. Only the question about which is the political party currently in power needs the answer to be revised since Kevin Andrews is no longer holding down that particular plum job. All hail the separation of power now that the Federal Court has reinstated the Haneef visa. I hope they have a question about how arms of the government tangle with each other. 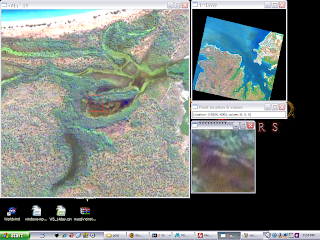 Also test drove RAT TerraSAR-X Driver and INSAR capability, it was a breeze producing unwrapped phase. Just need to quantify the baseline and extension to spaceborne platform position information to allow accurate DEM generation. 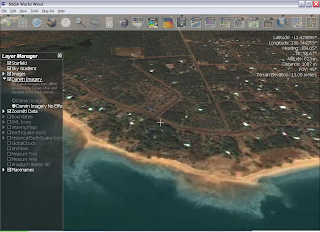 Pere Noel from CNES has presented his eager Remote Sensing children with OTB 2.0.0 this Christmas. Orfeo Toolbox is part of the Orfeo Accompaniment Program for the upcoming Pleiades and Cosmo-Skymed sensor constellations. 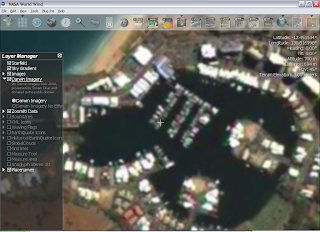 This toolbox provides an Open-Source framework for processing and exploiting SAR and Optical imagery. Julien, Romain and Cyrille for the good work. good software upon which OTB is built. 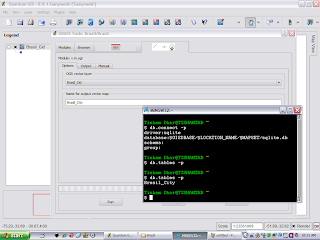 Quickbird image in a few lines of code. This can hurt sensitive people. - Radiometric calibration using the 6S radiative transfer code. - Image registration with parametric geometric transformations. 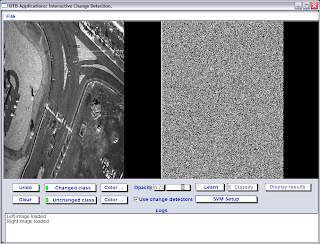 - Demo applications for change detection, road extraction, visualization, etc. 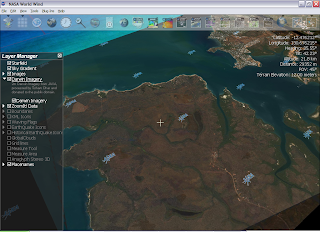 - All existing features of version 1.6: segmentation, classification, feature extraction, spatial reasoning, change detection, etc. OTB tends to lean towards being monolithic at times with internal source tree copies of ITK, Boost and Ossim, but it keeps people away from having to separately download and install dependencies. The only external things to install are CMake - it makes multi-platform builds a breeze, a pre-built binary copy of GDAL from FWTools and FLTK, a simple GUI toolkit which trades speed for aesthetics. Personally I would prefer a nicer GUI Toolkit such as Qt but FLTK works just fine, and the whole approach is library oriented so it will be easy to plug-in your own GUI. 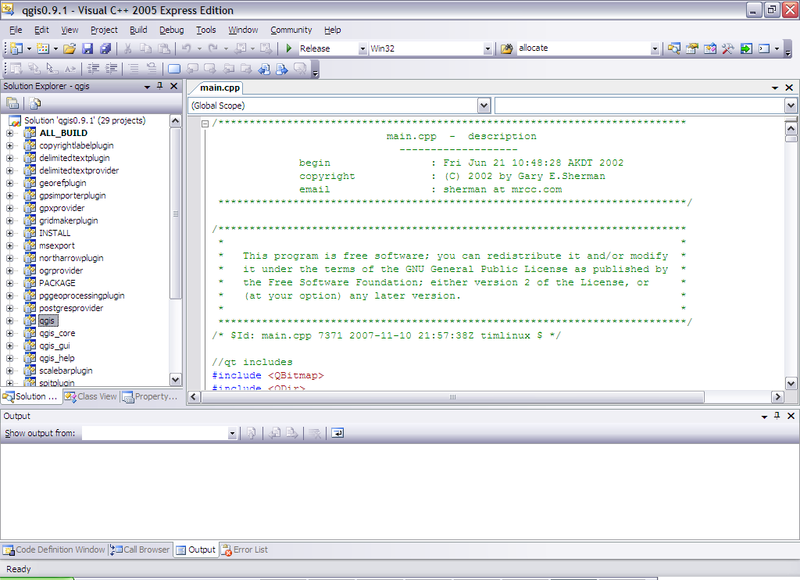 After a few false starts I built OTB with MSVC++ Express and NMake files from CMake. Here are the basic screenshots. So I finally I got myself a new car. It is a very well maintained Toyota Camry, looks like an oldish Mercedes and drives very quiet, accelerates smoothly and has a lot of power. Quite a bit bigger than my last car , I hope to have this one for a bit longer. Just that it is dark colour so I will have to drive it with the lights on. Now that I have slogged together a lot of database drivers for Grass and GDAL it is time to put them to good use. In this article I will demonstrate how to create a Grass vector map with attributes stored in an Sqlite embedded database. 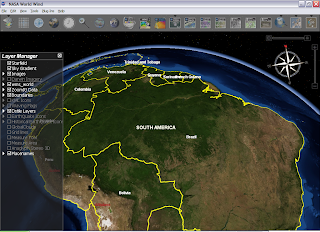 I am using my Brazil mapset since the data is cities and roads in Brazil. First open a suitable mapset in Grass from QGIS (follow the QGIS-Grass tutorial) and connect the mapset to an sqlite database by choosing sqlite driver from the dropdown box as shown below. Edit the database location so the it is created in a directory that exists, I suggest removing the already suggested dbf folder(meant for the dbf driver) and replacing it with sqlite.db. In the future this should be auto-suggested by QGIS. 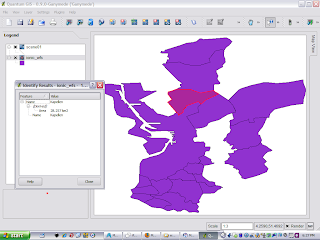 Then open a suitable Shapefile or other OGR supported vector format for import into Grass. Your screen will look something like below. Now import this dataset into Grass using the Import Vector from OGR command as shown below. You can also use the Grass shell to ensure that your attribute table gets created in the Sqlite database. 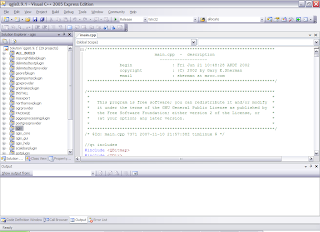 After this step your vector is ready for use in Grass and all the attributes can be manipulated using SQL in the Sqlite database to perform joins with other tables or any other operation you can dream up. 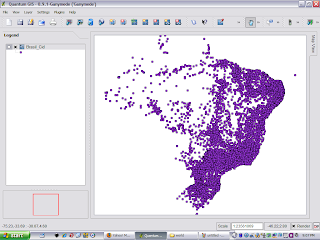 The final map with various classifications produced from the Brazil dataset after importing it into Grass is shown here. Don't trust libtool - Libtool in MingW is rather hobbled and needs to be fixed for long link lines using a the sed command described here. Use -no-undefined - MingW linker does not like linking to libraries with some undefined symbols, use that linker flag when compiling dependencies. Create shared libraries not static ones for dependencies. Learn you way around the reverse engineering tools for porting from MSVC built static and dynamic libraries, specifically reimp, pexports and dlltool. Sometimes function call definitions need to be renamed using sed or added with @4 or @32 at the end (not sure what purpose this serves), I picked it up while building MySQL libraries for linking. Edit any autoconf or pkgconfig scripts to use MSYS style include and libs location(Those nasty slashes will get you otherwise). Any of these tricks may fail if you have specific name mangling, assembly code and other fancy things in the MSVC libraries. 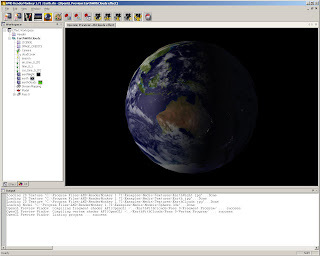 I have still not managed to make a linkable version of libecwj2.dll (ErMapper - Leica ECW/JPEG2000 library), mainly because it contains some of the above features. This week is turning out to be quite good. I got a new machine, Quad-core Intel with Nvidia 8800 graphics card and double 22inch monitors. I spent a couple of days setting it up. Then today I got a reply from the University of Adelaide saying that I have been given the APA scholarship to study for a PhD in SAR over 3-years. You have a few bad months then things turn around. I am planning to buy a new car over the weekend , then I will have to zealously guard the 1 remaining demerit point I have. The Gold Qgis release build with grass compiled with ODBC, Sqlite, MySQL and PostgreSQL. I could not get GDAL linked with the same MingW being second class citizen in the GDAL world and libtool being annoying and limited as always. The current one is available here. Hope it works for you. May be one day we will have a Platinum release. ImageLinker , the Ossim image processing GUI is now nearly fully ported to Qt4 and builds and runs fine if you do not try to optimize too much and strip symbols. 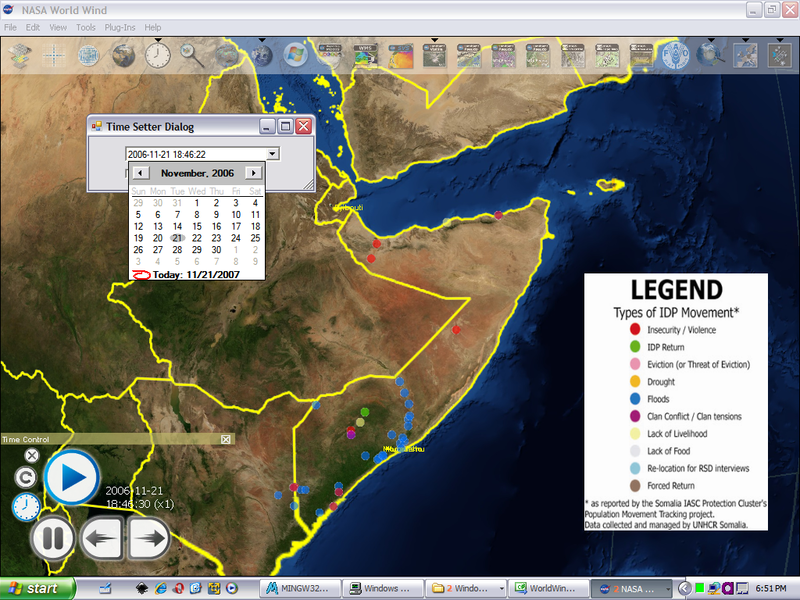 Qgis releases seem to be coming along fine. Now even my photo is in the official developers list. What an honour !! The windows installer is available here for testing till an official release is announced. It includes latest grass release candidate, but misses Xerces and hence GML support. Living on the edge has cost me, GDAL Xerces detection to longer picks up my Xerces and Expat. I hope this will be resolved by the time we make a full release. I will try rolling back GDAL until it works but this is the latest of the latest code based release. Who wants to be an Australian ? I am back in Adelaide in space , but not it time. My body clock is all messed up and keeping me awake at night. At least it is some other time of the day somewhere else so I can be productive. Qgis seems to making great progress towards a full MSVC build, that may not sound so good to Open Source purists, but on Windows MSVC offers superior compile time and debug capabilities than MingW does at the moment. Tim has put together a short-cut bundle of binary dependencies so that you do not have to build everything (but building stuff is my favourite passtime anyway). The build works fine without Python-SIP, which will be easy to add and GRASS which will be slightly messier to add. Just back from the weekend of camping in the Barossa Valley Wine Region, organized by Fleur for her birthday. Happy birthday Fleur!! I definitely recommend her as a travel organizer/tour guide. Saturday I had to wake up early and drive for an hour and a half through the scenic Adelaide and Barossa hills to get to the campsite in Tanunda. This is the longest non-stop drive I have ever done in my car and that was quite exciting. I sped about like crazy with the car loaded up with camping gear. It took time setting up all the tents and buying food for dinner. The rest of the day was spent winery hopping and the night was spent around the campfire talking non-sense to random people. When I finally went to sleep, I just barely felt that my feet were very cold. The next day we went for a spot of real wine tasting, mostly because I was driving and could not drink any just smell and swirl it around in my mouth. We found some really good wines at Rockford. It is a small winery with lots of old barrels lying around and a cobwebbed ceiling, but they make very fine wine. Then off to Grand Burge with beautiful sceneries matching the great wine. Some of the aged wine was apparently just found in the cellars from times they did not have permanent records, it was at least 25 years old and tasted delicious. I am sure that will not stand up to a breathalyser test, but luckily I did not have any. Finally we passed the Craneford winery which is owned by Fleur's family for some personal attention, and some jockeyed for mates rates. Now I am back home but the camping gear is still filling up the car, the wine is out and is safely in the dark corners or the fridge as appropriate. 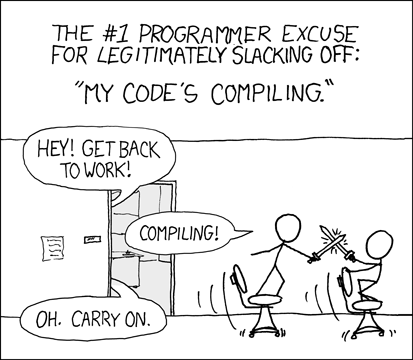 May be I will get some real coding done thanks to the break. Drifting off into vertex and fragment shaders from the land of wine and olives. 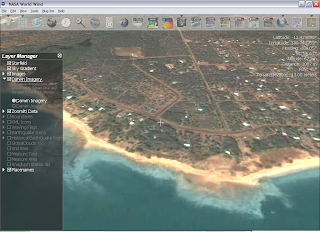 Just to keep up my end I have been doing regular release builds of Qgis lately. 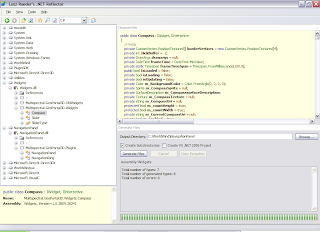 Then I had a look at some of the prettier shader applications in World Wind Java. Now I have new goals. I pulled out Render Monkey and the big thick GLSL Tome. Raster enhancement operations - such as RGB to Grayscale, sharpen, contrast stretch etc. The old favourites sun shading and day-night, this already seems to be there is a simple way in render monkey. Global fluid water layer, hopefully a simple spherical mesh with a simple vertex shader or varying bump map. Meanwhile I am waiting for the 0.3.0 release to get a stable start, a lot seems to have been already achieved. At some point I need to start on some decent KML support, I already have a schema based parser from castor, pity so little KML in the wild actually follows the schema. I put together an NSIS based installer(long removed) for Qgis 0.9 Preview 1 with some primitive Python detection support for testing, it will complain while loading the Qgis Python bindings if PyQt4-Sip are not located. It should work with the Binary package for PyQt4 available here. I will try to add auto-install of PyQt4 soon. It has been a while since I last posted, why ? Well I changed browsers, Firefox was taking up too much memory making it hard to perform those giant ossim links, so I switched to Opera and Blogger has pathetic support for Opera. Anyway in this offtime I managed to attend a charity dinner, fall flat on the dance floor, get on the Qgis release team and contrary to popular misconceptions got Qt 4.3 to work with MSVC++ Express Whidbey(patches) and compiled OssimPlanetQt on this platform. It works just fine. 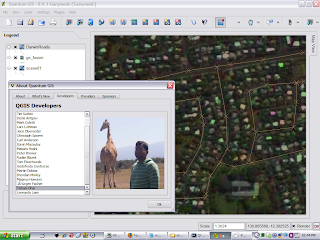 The Qgis 0.9 Ganymede ( my name of choice is in !) Release is undergoing tests and you can pick up a zip archive of binaries here. There are some issues with the PyQt bindings , please leave feed back on your experience here or on the Qgis mailing list. I am working on automatic detection and install of Python2.5+PyQt in the NSIS Script, any snippet suggestions for doing this are also welcome, especially from the PyQt folk so that I know where I am standing.